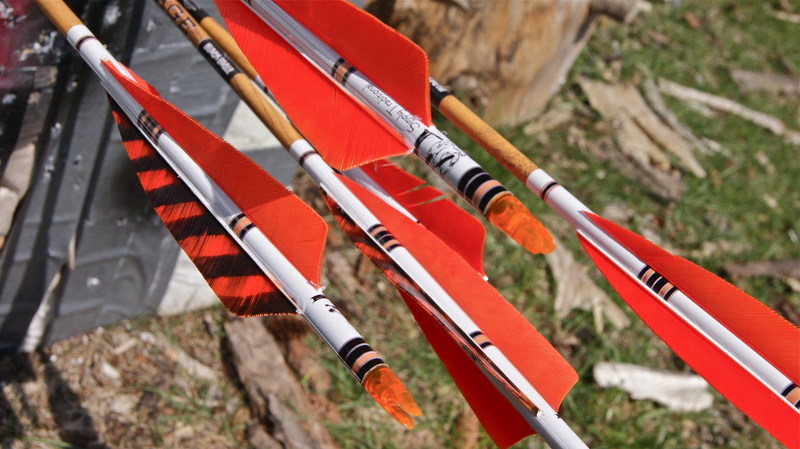 “Nothing wrong with carbon arrows.” I grinned, rolling the newly fletched shaft between my thumb and forefinger. “They’ll get from A to B and won’t snap if interrupted or looked at funny.” He scoffed, as if offended by the thought. “They don’t break if you build ’em right.” He said, walking his fingers to the G. I’d heard this verse before, but suspected it would be a spell before we’d reach the second – if we ever did. I rolled my eyes, as he drifted back to the C, and was as animated as possible with the action to be sure he noticed. He kept picking, a smile pursed on his lips. We’d need caffeine to keep this up. A single match brought the little green Coleman to life, and the percolator bubbled shortly after. Our nostrils filled with the sweet bitter smell of Folgers and reminded us of the morning’s activities. He put down his guitar and I handed him a mug. “What time you want to shoot tomorrow?” I said, returning my quiver to the rack next to his. “Whatcha got in here this year?” I asked, examining his quiver. It was old and worn in all the right places, like everything else he owned, but lovingly cared for and filled to the brim with cedar. “Well they ain’t plastic.” He laughed, tipping the mug back and giving it a spank to free the grounds on the bottom. “May I?” I asked, reaching for a nock. A careful tug sent the arrow sliding over the lip of the quiver and away from the rest of the flock. The lacquered shaft shimmered in the moonlight. I carried it over to the fire to get a better look. The old archer leaned forward, preparing for any questions I might have. It was cedar, stained a dark walnut from the back of the point to the fletching. The cap, which had been white at creation, had yellowed to a beautiful cream with age and use. The cresting – a combination of red, black, and silver – was painstakingly applied on a hand-rolled jig of his own design. They were stunning. The softball was lobbed and I couldn’t resist the urge to swing. “The Remington, huh? Is a 3 1/2″ load of buckshot considered traditional tackle these days?” I could see his face redden through the fire. The faintest hint of a smile creased his lips. He was right. Then again, he always was. Even when he was wrong, somehow he was right. I’d grown accustomed to it. And in that instance, I looked at that old archer and saw myself a few years down the road. 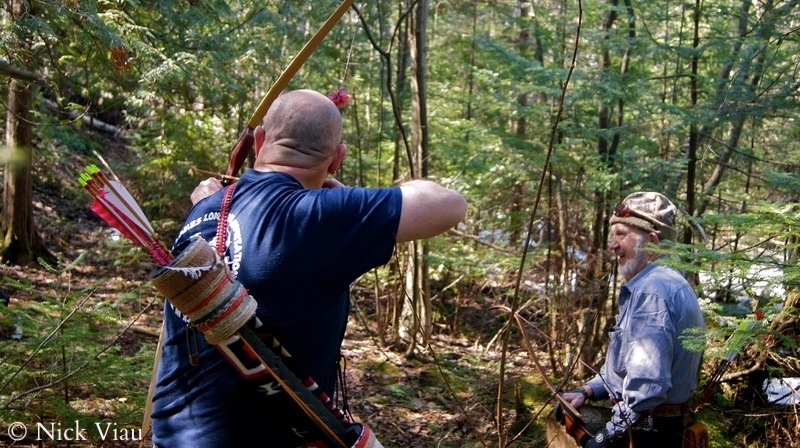 I was wearing that old hat and shooting those wood arrows. I was picking that old guitar and showing another cocky young buck the path less traveled. I smiled at the thought, no longer bothered by the transition.